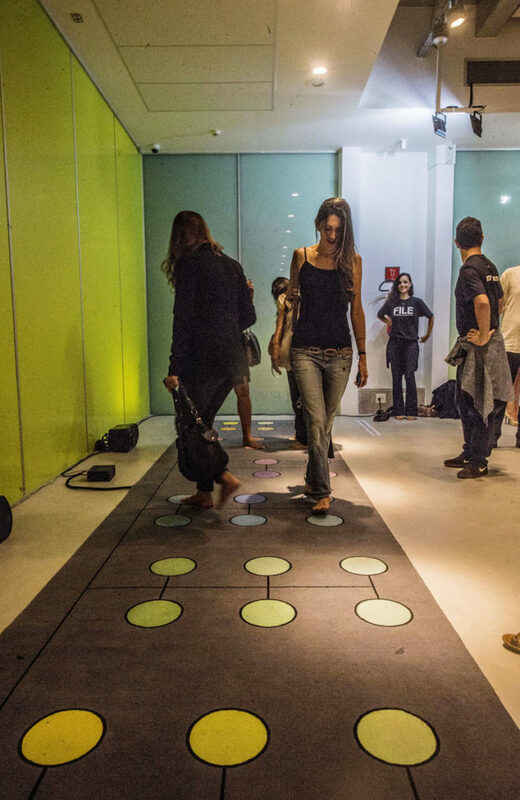 “The Flooor” is a collaborative music instrument and a social meeting place. 36 sensors under a carpet, connected to a music computer mounted under the floor and loudspeakers mounted in the ceiling. Håkan Lidbo is a techno music producer that also makes sound art, interactive installations, apps, games and robots. Max Björverud is a Swedish sound artist working with technology, interaction installations and urban sound.